1. Read out Chrysler(TYPE2) vehicle pin code. Q1: If there is the battery inside the package?I didn’t see it from the picture. Q2: Which voltage should I use with this pin code reader? How to get Chrysler Pin code? 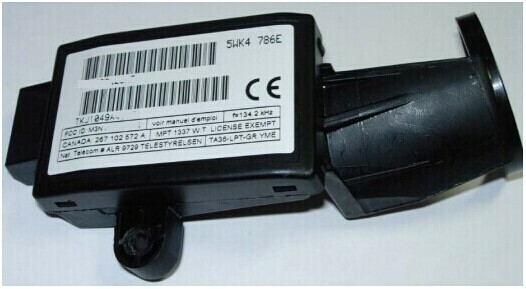 Pin code reader for Chrysler isavailable in OBDII365.com. Our technicians have made a tutorial on how to get pin code with the tool, hope it helps. 1. 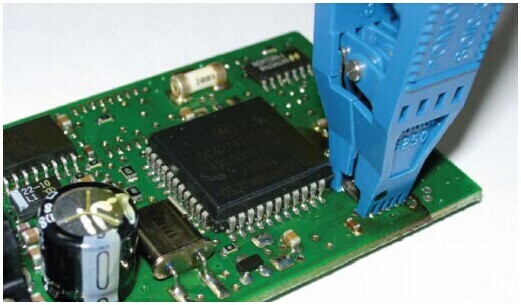 Remove the IMMO box from the Chrysler vehicle that you are going to read Pin code from. The box is located on the Ignition lock. Below is the IMMO box:2. 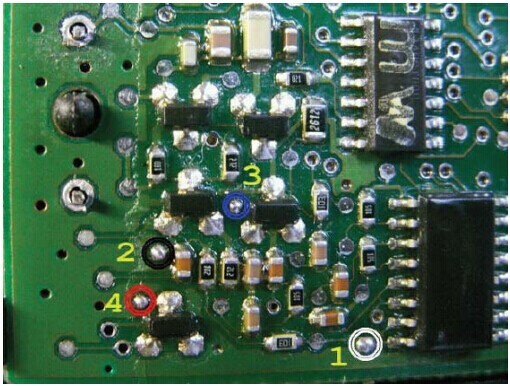 Open the box, desolder the two pins of coil connection on the PCB (as shown in the picture below) and remove them off. 3. 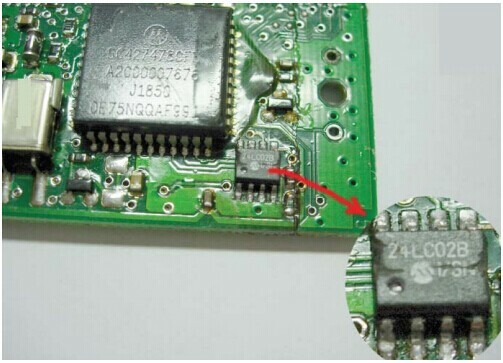 Find a chip named EEPROM “24LC02B” on the board. It is nearby one of the coil connections removed just now. 4. Clean every pin of the 24LC02B chip and connect the clip to the microchip, black point to pin1 of the chip. 5. 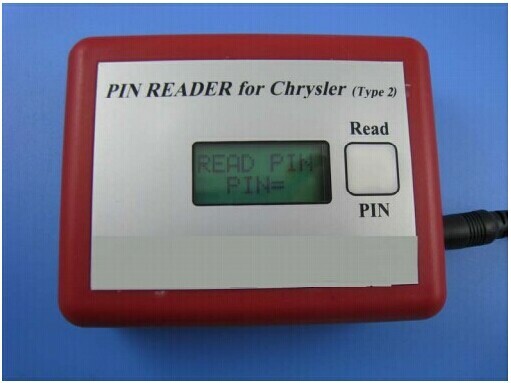 Press “ Read Pin “ button on the Pin reader for Chrysler (TYPE 2), and you will then see its Pin code on the screen. Here is another way to use the Pin code reader. The tool comes with a 4 wires cable. By using the cable, you can read the pin code without removing the connections from the IMMO box. 2. Connect the white wire to point1 , black wire to point2 , blue wire to point3 red wire to point4. 3. Press “Read Pin” button on the unit, The screen will then show the Chrysler Pin code.